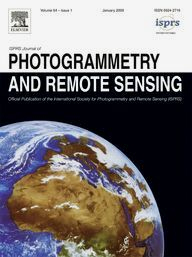 Now that the splendid XXIII ISPRS Congress, held in July 2016 in Prague, is over and the new Technical Commissions are busy bringing life into their programmes for the coming term, let me share with you some thoughts on shaping the future of our society in order to influence science and development in photogrammetry, remote sensing and spatial information science in a similar way as in the past. Of course, the last four years have already seen many changes: we have a new research agenda published in our flag ship journal, the ISPRS Journal of Photogrammetry and Remote Sensing; we have five new Commissions; a series of yearly high-level scientific meetings including the new Geospatial Week in odd years; a Scientific Initiative, strengthening research collaboration between groups within ISPRS; a new International Advisory Committee (IIAC) to give industry a stronger voice; and our two journals, as well as the Archives and Annals, are more attractive than ever, as they are included in many of the scientific indices relevant for researchers around the globe. Last but not least, we have witnessed a new Congress structure with a common International Programme Committee, as well as two events to bridge the gap between science and application: the ISPRS - UN-GGIM National Mapping and Cadastral Agencies Forum and the ISPRS - IAA Space Agency Forum. Given these fundamental changes, one could conclude that it is now time for a consolidation of the society's activities and for observing and then evaluating these changes. Did they bring about the desired effects? Do we need to fine-tune any of the decisions we made? And yes, we will no doubt do exactly that: observe and evaluate the effects of the changes we introduced. At the same time, however, we witness developments within and beyond ISPRS which may have a major effect on our work and our society. In our core disciplines, progress is continuing at a very fast pace. 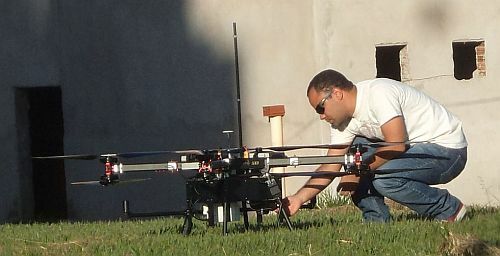 In photogrammetry, autonomous driving and robotics with influences from navigation and computer vision, but also high-precision and autonomous industrial measurement and the preservation of cultural heritage are very hot topics. For remote sensing, let me mention global change and sustainable development, and satellite swarms with hundreds of platforms for constant environmental monitoring of the whole earth. Spatial information science will increasingly deal with spatio-temporal modelling, social media and ubiquitous computing. Underlying concepts of these developments are big data, machine learning, parallel and cloud computing and the Internet of Things. The ISPRS tag line - Information from Imagery - can thus be interpreted as the digitisation of our planet in real time, and in many different scales and applications. We will face many scientific, technical and organisational challenges; it is my firm belief that these challenges can only be met in cooperation with groups beyond ISPRS. This brings me to a point which we will need to pay more attention to: we should increase our efforts to cooperate with these groups - many of which, such as the robotics, the navigation and the computer vision communities, are much larger than ISPRS - to show them what we have to offer: high quality geospatial information and, services, and knowledge. Science, and science in an international society such as ISPRS in particular, also has other roles, e.g. that of education and outreach. Given how ISPRS activities were distributed in the past, there are a few regions on the globe in which we should increase our presence, most prominently Africa and Latin America. In a diverse world there is, of course, no single solution which fits all. Only the underlying concept is certainly similar for different areas around the globe: work together, learn from each other and then develop common projects and later perhaps also institutions in the geospatial domain. While ISPRS can contribute to such developments, we cannot, of course, hope to design and implement solutions in isolation. Again, cooperation is the way to go. Thus, let's work together in research and development within the ISPRS related fields to reach these goals. I wish all of us a successful and happy four years in ISPRS and beyond. Have you ever been asked to be an instructor in an ISPRS-sponsored Summer School or International Workshop? If so, you may have wondered if it would be worth your time and effort to prepare lectures, develop exercises materials, travel far away and teach in an unfamiliar place for an audience who may not speak your language. Professor Michael Cramer from the Institut für Photogrammetrie (ifp), Universität Stuttgart, Germany, found himself in exactly this position when he was asked to be an Instructor in the IEEE Geoscience and Remote Sensing Society Young Professionals (GRSS-YP) and ISPRS Summer School, “Large Scale Photogrammety and Remote Sensing with UAV” organized by Professor Antonio Maria Garcia Tommaselli, UNESP/FCT, São Paulo University, Brazil and held on the São Paulo Campus de Presidente Prudente, Brazil on 26-30 September 2016. While Professor Tommaselli will be providing a report on the success of the summer school for future publication, this article will focus on the perspective of an instructor. Participation in an ISPRS-sponsored summer school may even result in some recognition from your own university upon your return. 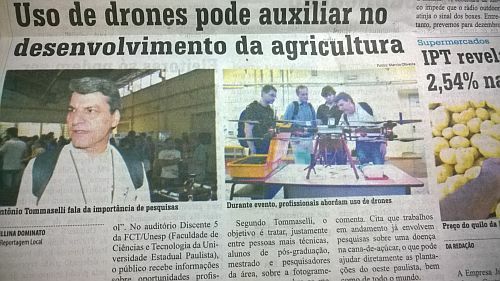 In Professor Cramer’s case, his involvement in the summer school and an agricultural drone project was featured in the local Brazilian newspaper. The ISPRS Foundation (TIF), a non-profit entity established in 2003 and managed by a Board of Trustees responding to ISPRS grant needs that are identified by the ISPRS Council, provides support for summer schools and international workshops (http://www.isprs.org/foundation). In order to do so, TIF depends on individual donations and contributions from ISPRS and ISPRS-sponsored events. Donations to the non-profit TIF may be made via the TIF PayPal donation link on the TIF website listed below. Questions may be directed to TIF Finance Officer, Marguerite Madden, Professor, Department of Geography, University of Georgia, Athens, Georgia, USA 30602, mmadden@uga.edu). 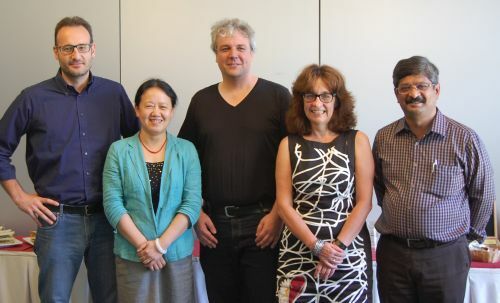 Wai Yeung Yan, recipient of the Otto von Gruber Award at the Prague Congress in July, addressed a letter of thanks to the sponsor of the award, NCG, to ISPRS and to the family of Dr. Otto von Gruber. ISPRS Council were so moved by his words that they asked his permission to publish the letter, in the hope that other struggling researchers may find some solace and encouragement to continue their valued work, even when the tasks at hand may seem desolate. The 2016 General Assembly, held in Prague during the XXIII ISPRS Congress, elected five new Commission Presidents and Vice Presidents who have prepared a complete scientific programme for their Commissions (TCs). The working activities of TCs are based on the activities of their Working Groups (WGs) together with Chairs, Co-Chairs and Secretaries. 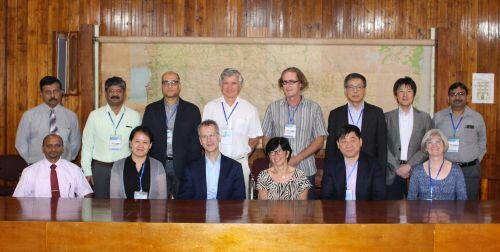 Their programmes, including Terms of Reference and Working Plans, were commented by ISAC members (ISPRS Science Advisory Committee) prior to 16 October, 2016, and discussed during the Joint Meeting (JM) in Colombo, Sri Lanka, held on 17 and 18 October, 2016. The recommendations from ISAC and those from members of the JM helped to finalize all WG structures whose web pages are presently under construction at the ISPRS web site. On behalf of Council, I would like to thank all Commission officers for their huge and efficient effort to create the new Commission structures within such a short time. The ISPRS Joint Meeting (JM) takes place once per year to discuss the scientific development of individual WGs and TCs, to review activities of all Commissions and to plan and prepare future ISPRS events. The next JM will be organized during the Geospatial Week in Wuhan, in September, 2017. During the Council Meeting, Council Members were invited to the Survey Department of Sri Lanka. ISPRS President and Secretary General were received by P.M.P. Udayakantha, the Surveyor General of the Department and local organizer of the Asian Conference of Remote Sensing (ACRS). Nelson Wijenayake, local organizer, gave an overview on activities of the Department, which was founded in 1800. He talked about present activities in mapping, map digitization and map updating in Sri Lanka. Visitors also enjoyed the department's museum, housing photogrammetric equipment of the 20 century. Council appreciated not only a good Conference, but also very good conditions for ISPRS meetings and the excursion. ISPRS Council (also on behalf of TCPs) would like to express great thanks to AARS (Asian Association of Remote Sensing) and its president, Kohei Cho, and also to the local organizer of the conference, P.M.P. Udayakantha. This important meeting of ISPRS officers was, thus, also a great opportunity to meet colleagues from the sister organization and enjoy the warm and generous local hospitality, including that of AARS. Members of the two leading international science councils voted overwhelmingly to merge at a General Assembly held in Oslo, on 24 October, 2016.
new textbook is now available. On 14 September, 2016, the European Commission published a series of copyright proposals, as part of the Digital Single Market Strategy: a Regulation on transmissions, a Regulation on cross-border exchange of accessible format copies, a Directive on copyright in the DSM, a Directive on permitted uses of work for visually impaired people as well as a Communication. Through the proposals, the Commission wants to give people a better choice and access to online and cross-border content, improve the copyright rules for research, education and disabled people and create a sustainable and fairer marketplace for the creative industry, creators and the press. More concretely, the Commission proposes “a legal mechanism for broadcasters to obtain more easily the authorisations they need from right holders to transmit programmes online in other EU Member States” and will help set up negotiation bodies to reach licencing deals between video-on-demand platforms and right holders. Furthermore, the Creative Europe programme will be used to encourage the circulation of creative content throughout the EU by means of dubbing and subtitling, for instance, and to make copyright protected out-of-commerce works available across borders. In terms of education and research, the Commission proposes a new exception so as to allow education institutions to use materials and make it easier for researchers to use text and data mining technologies. The copyright directive aims to “reinforce the position of right holders to negotiate and be remunerated for the online exploitation of their content on video-sharing platforms.” The platforms will have to put in place ways to automatically detect audiovisual content which right holders have identified and agreed with the platform to either authorise or remove. In terms of publications, the Commission wishes to introduce a new right which will legally recognise press publishers as right holders. They, as well as producers, will in their turn however have to inform authors and performers about the profits they made through their works. In the autumn, the Commission is expected to complement these proposals by publishing a proposal to improve the enforcement of intellectual property rights. The Principles were developed by the RDA-CODATA Interest Group (IG) on the Legal Interoperability of Research Data, and subsequently reviewed in two rounds by independent experts and also approved by the RDA and CODATA. A set of Implementation Guidelines, also reviewed and approved by the RDA and CODATA, provides more detailed information that members of the research community may find helpful in implementing each Principle and in understanding different approaches in various countries. The European Space Agency (ESA), on behalf of the Committee on Earth Observation Satellites (CEOS), is pleased to announce the release of the updated CEOS Missions, Instruments, and Measurements (MIM) database. This release is based on inputs from CEOS agencies in response to the extensive 2016 survey process. For further background information, read here…. The MIM database is available at http://database.eohandbook.com, and the web version of the handbook is available at http://www.eohandbook.com. Asia GIS Conference is a biannual conference organized by the Asia Geographic Information System Association (AGISA) for GIS academics and professionals in the Asia-Pacific region. Since 1994, it has provided a multidisciplinary network and forum for people involved in GIS teaching, research, development and applications to interact with each other and exchange ideas, information and achievement on the latest advancements / issues in the rapidly changing technology. The geospatial event for everyone involved in the gathering, storing, processing and delivery of geospatial information. Incorporating an international trade exhibition, a cutting edge conference and a programme of live commercial workshops sessions, featuring the technology and services used by those working with spatial data. Register online for FREE entry to the exhibition and workshops. There is a nominal fee to attend the conference. The French National Radio Science Workshop - JS'17 is co-organised by Institute Mines Telecom - Telecom ParisTech and Université Nice Sophia Antipolis. On Thursday, February 2, at 5 pm, the General Assembly of URSI-France will hold their annual meeting. The First International Conference on Smart Data and Smart Cities was organized as a collaboration between the Urban Data Management Society (UDMS), ISPRS and the University of Split, Croatia. For the first time the topics of the conference were dedicated to the integration of Smart Data and Smart Citizens for Smart Cities with focus on spatial information. The two-day workshop, co-organized jointly by National Geomatics Center of China(NGCC), ISPRS Global Mapping Joint Working Group and GEO Global Land Cover Task Group, concentrated on how the global land cover data could quantify the indicators of SDG in order to support the 2030 Agenda for Sustainable Development of the United Nations. On 27th September, the ISPRS TCIV/8 Working Group on GeoComputation and GeoSimulation organised a tutorial workshop on Machine Learning for Spatial and Temporal Analysis at GIScience 2016, Montreal, Canada. Since 2000, the conference series has showcased cutting edge research that pushes the boundaries of geospatial analysis and GIS. TCIV/8 seeks to further this goal by educating the next generation of researchers in advanced analytical and modelling techniques. Prof. Ferruh Yildiz, from the Selcuk University, Konya-TURKEY, (which celebrated its 41st anniversary), organized the first conference on Spatial Data Processing, Modelling, Analysing and Management for Knowledge Based System, in Antalya, Turkey on 27 – 30 September 2016. The conference programme offered – besides for 4 plenary speakers – 134 oral presentations and 44 posters from authors from Turkey, Russia, Azerbaijan, Kazakhstan, Ukraine, Iran, UK, The Netherlands (195 in total). Topics covered applications of remote sensing, photogrammetry, GIS, GPS and geodesy for soil, land use, land cover, agriculture, coast, water quality, cadastre and many others. The participants stressed the importance of such meetings of experts from predominantly neighbouring countries. The proceedings of the conference will be published as e-books. ISPRS was represented by the Secretary General, Lena Halounovà, who presented an overview on ISPRS at the Opening Ceremony. 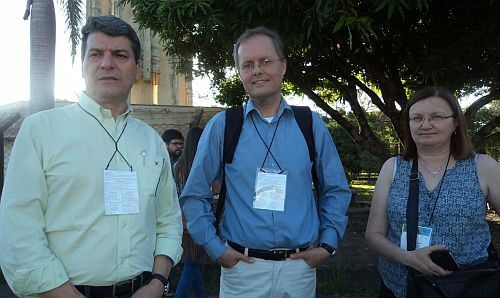 The Conference was organized under the auspice of ISPRS and FIG. FIG was represented by the FIG Congress Director, (Istanbul 2018) Orhan ERCAN. ISPRS Honorary member, Orhan ALTAN and ISPRS Secretary General were plenary speakers of the plenary session, chaired by Orhan ALTAN. Continuing the collaboration of the ISPRS Student Consortium with the Asian Association on Remote Sensing (AARS) and the AARS Student Group (ASG), the Summer School “Geoinformatics for Disaster Risk Reduction: Application of Drones” was held at the Institute of Surveying and Mapping (ISM), Diyatalawa, Sri Lanka, from October 22-26, 2016. Cox, Adrian J. M., Milsted, Andrew J., Gutteridge, Christopher J.